Nothing is worse than a spotty Internet connection, especially while you are travelling. When you’ve got flights to check into, tours to book, and restaurants to Yelp, you do not have time for your connection to be going in and out. Travel routers are a great way to amplify and share Wi-Fi connectivity to your devices. All you have to do is access a cellular connection either through your phone, or through a built-in cellular modem, and you can broadcast a Wi-Fi signal to your computer, iPad, phone, and streaming devices. So the next time you have to spend a lot of time in a place with little to no Internet connection, make sure you have got one of our best travel router picks in your carry-on and enjoy surfing the web. This little router is super tiny, considering it packs such a big punch. It will easily fit in the palm of your hand and can support 300Mbps Wi-Fi speed on 2.4GHz band. When an Ethernet connection is available, the TP-Link creates a private and secure Wi-Fi network, but it can also work off of a hotspot connection as well. At home, it can be used as a range extender for your main router, and it is powered by a micro USB cable. The router comes with a USB cord and a travel bag. Everything is so compact that you will barely even notice this best travel router pick in your luggage. If you want a secure network, or just a Wi-Fi boost, then this is the right purchase for you. This router is not a hotspot, but it can turn a wired Internet connection into a wireless Internet connection. 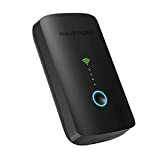 So if you know you will have an Ethernet connection but aren’t sure about Wi-Fi, or if you are working with something like a MacBook Air that doesn’t even have an Ethernet port, then this device is a good option for you. This device will also read your SD memory card, and facilitate media sharing so that everyone can enjoy your photos and videos. If you are travelling light and want a device that pulls double or even triple duty, this is a good choice for your luggage. It will even connect to your Chrome Cast so that you can access the internet through a television. Like the above entry, this router is not a hotspot. In order to create a Wi-Fi network, you will either need a wired connection or a Wi-Fi connection that you can turn into a private network. If you are staying in a hotel that charges per device connection, then you can bring this router along, pay the fee once, and create your own little network for all of your devices. It also functions as a power bank, which will help you charge your phone or tablet on the go. This router is teeny-tiny, weighing just one ounce and measuring a measly 2” x 2” x 0.7”. It is intuitive and easy to use, which means the only thing you will have to worry about is keeping track of it. The ease of use is why it made our best travel router list. 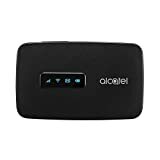 This router is a hotspot, which means it requires either a cellular connection or a mobile plan. Once connected to the Internet and broadcasting Wi-Fi, you can connect up to 15 devices. It weighs only 3.7 ounces and measures 4” x 1” x 2.5”, which makes it compact and easy to carry. One consumer praised its speed and even recommended using this on smart items in the home. Other consumers say they use it for travel and find its speed to make it the best travel router to have. This is a mobile hotspot that offers a pay-as-you-go functionality. For as little as $8 a day, you can access unlimited data from anywhere around the globe. Once your device is broadcasting Wi-Fi, you can connect up to five devices. 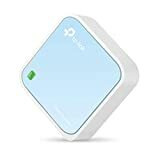 This is a great travel accessory to have with you if you will only need Wi-Fi once or twice, or if you want a backup in case the Internet in your location goes down. One consumer explained how he used it during an international business trip. Within a minute, he and his colleague were online. Even better, he has an iPhone and his colleague has an Android. Neither had issues making this one of the best travel routers to have. This is definitely one of the best travel router picks for a business traveler. 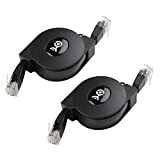 Finally, if you don’t trust a mobile hotspot or travel router to supply you with strong, reliable Wi-Fi, then you can be the master of your own wired connection with these retractable Ethernet cables. They are light, compact, and nearly impossible to tangle, so they will be easy enough to throw in your luggage and forget about until you need them. Each offers three feet of cable, which will allow you to plug in your computer and sit comfortably nearby. 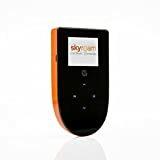 So if you don’t want to mess with mobile connections, data charges, or broadcasting, just grab a few of these and stay connected from wherever you are. Which Portable Translator Should You Buy? Which Security System Will You Use To Protect Your Home? What VPN For Travel Should You Use?